The American Society for Clinical Oncology (ASCO) just released the abstracts for the hundreds of presentations and posters that will be given at the upcoming annual meeting of ASCO in June in Chicago. For readers who would like to hunt through these abstracts for themselves, just click here. Your sitemaster will be looking through these as and when he can over the next week. Apparently ASCO is predicting an attendence of about 38,000 people at their annual meeting this year. My urologist just returned from ASTRO conference. He said everyone was bubbling about the new CT/PET imaging agents like Axumin which facilitate finding metastases at low PSA readings, resulting in earlier treatment. He also said that Provenge was now being recommended before using Xtandi and Zytiga after castrate resistance. Any comments on this? (1) I am pretty sure that your urologist would have been at the American Urological Association (AUA) conference in Boston and not at an ASTRO conference. I was also at that AUA meeting. (2) There was certainly a good deal of discussion about new forms of scanning technique, including the use of Axumin. I am not sure I would agree that “everyone was bubbling” about this, however. Maybe I wasn’t in the right conversations. (3) If one was going to give a patient sipuleucel-T (Provenge), I think a lot of experts would agree that the best time to give this would be as a first-line therapy in a man with mCRPC, who was asymptomatic or had minimal symptoms of advanced prostate cancer (which is the approved indication) — before abiraterone acetate (Zytiga) or enzalutamide (Xtandi) or chemotherapy. One of the benefits of the new forms of PET/CT scan are that they may allow a clinician to identify the presence of metastasis earlier than using older scanning techniques, thus allowing the earlier use of a treatment like Provenge. This is by no means a new idea at all. However, many urologists used to be reluctant to refer patients for treatment with Provenge because they usually can’t provide this treatment themselves and so it was easier for them to write a script for Zytiga or Xtandi. (4) Urologists are not always the fastest group of clinicians to adapt to new ideas, and early promotion of Provenge seems to have largely ignored the importance of the urologist in referring patients for this form of treatment, which has a lot to do with the slow uptake of this agent. I stand corrected re: the convention. I just learned from an Axumin scan when PSA reached 2.3 that I have a bone metastasis in my femur. I have no symptoms. I’m going back on ADT3 and having the metastasis radiated with 27 Gy in three fractions. As long as I’m not hormone naive I’ll stay on ADT3. I hear you saying that when I’m mCRPC or just castrate resistant with no metastases I should stop ADT3 and have Provenge, correct? My urologist admitted that his profession was slow on the uptake and that the science was moving too fast to stay up with. And women received more attention than men because they saw their doctors sooner and more often than did men. And uros made money on women not men. This shows why men need to keep themselves informed. (1) If you have already had any form of ADT, you are already not hormone naive. (3) In other words, while I agree with your current, proposed therapeutic strategy, you would normally have to meet all four of the above conditions to be eligible for treatment with Provenge. Thanks for the clarification. I’m hoping that the SBRT kills the single bone met and ADT3 kills or weakens any micro mets. When ADT3 stops working what you’re saying is that I will need another scan to find any new mets. If it discovers oligomets I’ll likely have them radiated if they’re amenable to SBRT. I’ll go to Provenge if SBRT is no longer viable. Make sense? Yes … but don’t make any absolute decisions about next steps at this stage. 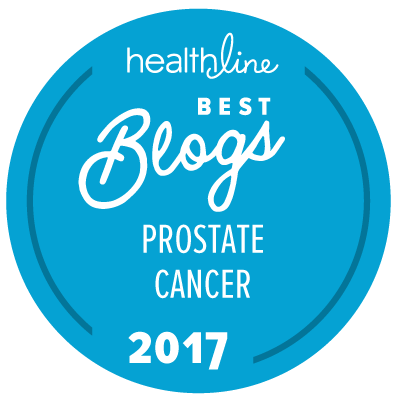 The landscape of treatment for progressive prostate cancer is probably going to change significantly over the next 5 to 10 years, and what would seem to be the best thing to do today could have changed by the time you might need to do something. That’s encouraging! I didn’t think I had 5-10 years left! I know men who have lived for 30+ years after they started on ADT! … Of course I can’t make any promises, but even back in the 1960s there were men who would live for years and years and years after starting the old fashioned forms of hormone therapy like orchiectomy or DES. I hope I’m one of those outliers — as do all of us high risk guys! But every study I read talks about 1 to 3 years of additional median survival, even while on ADT, after distant metastases appear. And after ADT fails, all the medications, chemotherapy, and radiopharmaceuticals seem to add only a few months of median additional life compared to doing nothing. Wouldn’t it be helpful if these studies disclosed the modal rather than the median survival time? This type of information is really all that anyone can tell you — a type of average (the median or the mean, and the median is the more statistically meaningful to these two types of average) and the range, which in this case shows that about 45% of the patients treated with Xtandi were still alive at 45 months compared to about 40% of the patients who received a placebo. For the details, see the data for “Study 2” on pp. 16-19 of the full prescribing information for Xtandi, available on line.